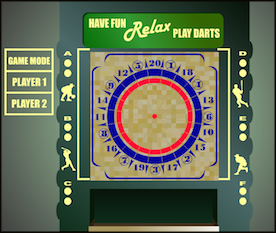 There are American Style dart tournaments taking place probably every weekend in small bars and taverns. There are even tournaments taking place in people's rec rooms, or local halls. And, there is no way to track all of the tournaments taking place. States is the big tournament of the year. 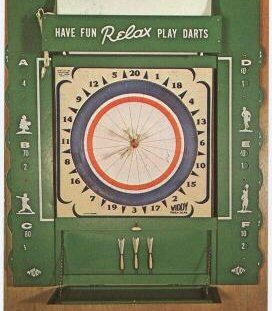 That is followed by the National Dart Tournament, which has been being held in Emmaus PA. Nationals usually take place in March, and there are several "divisions" which makes the tournament friendly to players of all levels. Those are the two BIG EVENTS on the darting calendar for the year. There are several other recurring tournaments that are worth mentioning as well. Dorkos Cafe hosts a series of singles tournaments where there is no handicap and the winner takes the entire prize pool. These "Big Dog" tournaments tend to attract the better shooters. There is a Facebook American Darts Group - they actively post about smaller tournaments that take place throughout the year. Another site that posts upcoming dart tournament information is the American Darts Database.